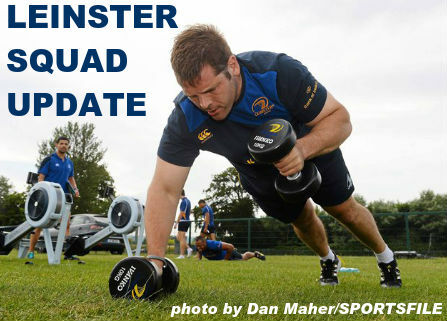 After training in UCD this afternoon Leinster Rugby Head Coach Leo Cullen has given an update on the well being of a number of squad members. Marty Moore underwent surgery last Friday on a foot injury and is expected to be sidelined for up to four weeks, while Mick Kearney (foot) and Rhys Ruddock (arm) are nearing a return to action but a return in Round 3 of the Guinness PRO12 is more realistic for them both. Tom Denton and Kevin McLaughlin were both removed from the game against Edinburgh as a result of knocks to the head and are now following the graduated return to play protocols. Both are progressing well but a final call will not be made until later in the week. 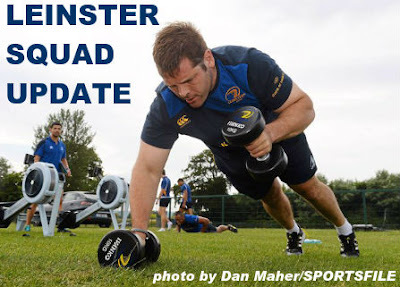 Gordon D'Arcy is seeing a specialist this week on a shoulder injury that he had scanned last week and is ruled out of the Cardiff Blues game as a result. Isa Nacewa did not train yesterday but took a full part today and is expected to be fit for the first home game of the season in the RDS.